Born: November 28, 1757 in London, England. Died: August 12, 1827 in London, England. 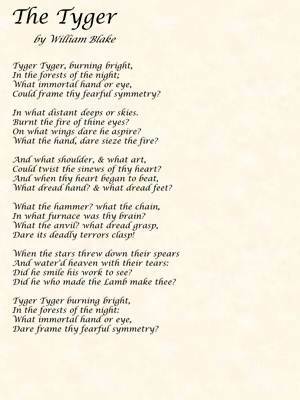 Blake was known during the Romantic Age for his poetry and visual arts. At the age of 31 he experimented with relief etching and made many of these with his poetry and illustrations set together.